Robert Z. Lawrence is a professor at Harvard Kennedy School and a Senior Fellow at the Peterson Institute of International Economics. 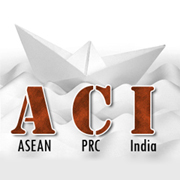 The emerging ACI economies: Does a rising tide lift all boats? Over the past 20 years, the emerging economies of ASEAN, the People’s Republic of China (PRC) and India (ACI) have enjoyed spectacular economic growth. Together they have tripled their share of global GDP measured on a purchasing power parity basis from 11.2% in 1980 to 31.3% in 2010. By 2030, based on current consensus forecasts, their combined share could reach almost half of world output. If these forecasts are correct, by 2030, Singapore will achieve United States (US) living standards, the PRC will be on the verge of developed country status (about 60% of US levels), and relative to the US, India should be just above where the PRC is today in per capita terms.